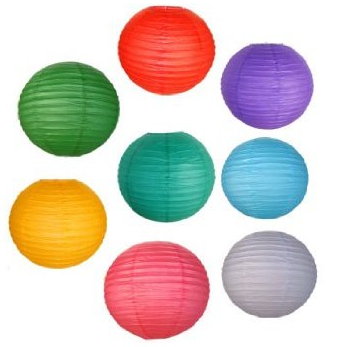 8 Assorted Color Chinese Paper Lanterns Only $7.34 Shipped! You are here: Home / Great Deals / Amazon Deals / 8 Assorted Color Chinese Paper Lanterns Only $7.34 Shipped! If you are throwing a summer party, you need to get these 8 Assorted Color Chinese Paper Lanterns for Only $7.34! These lanterns are less than $1 each and are a screaming party decor deal!